I am loving all the cute halloween ideas! Super cute! 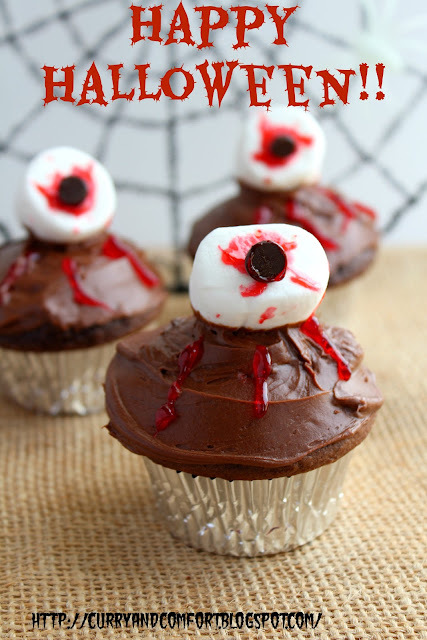 What a perfect treat for Halloween! 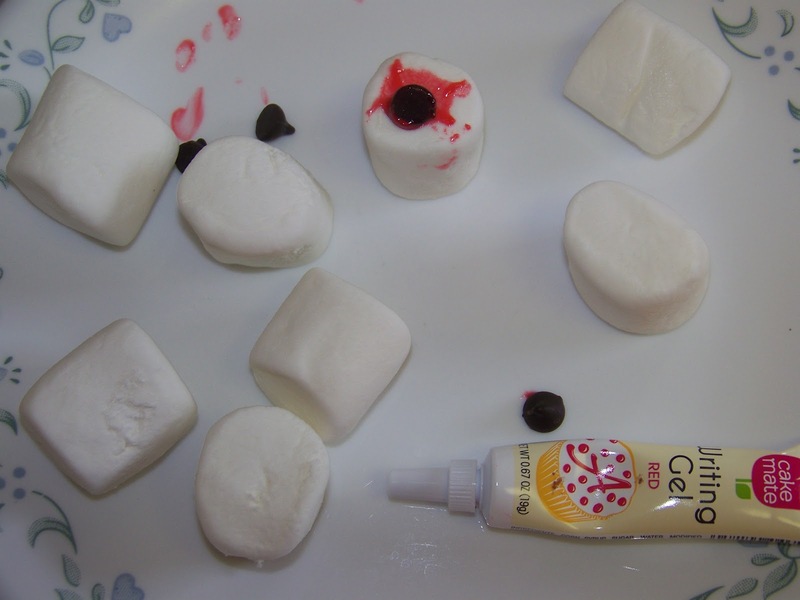 I have been following your Halloween creations and I must say I am in LOVE with each and every one of them. This one literally spells Halloween. Happy Halloween! This is another super cute creation. Don't know if I could eat it though...I think it is the eyes. A bit too real for me. I can see why the kids loved these! So spooky and fun! I just figured it out - YOU like Halloween! :) Hope you and your kids have a fun filled day!!!! You continue to be creative for Halloween and it's so sad you can't share any more creations this year. Please continue sharing next year as I love what you've made this year! 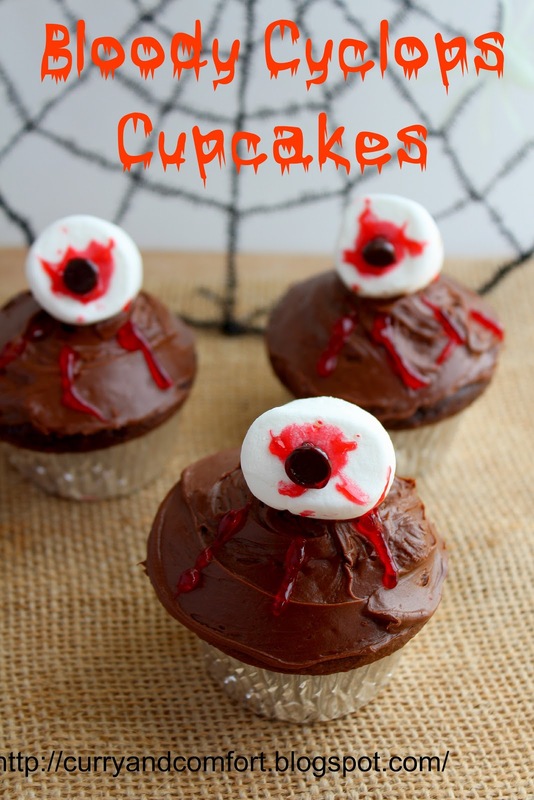 :)I love your spooky cupcakes!! You are so creative! What an awesome party you could through will all these festive treats! How creative! Have a happy Halloween! A perfect combination of creepy and cute! Woah! You did a fabulous job with these cupcakes!